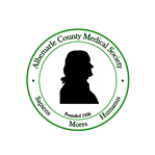 Members have two options to pay ACMS annual dues, which are currently set at $150 (or $155 for electronic payments). Payment by cash or check are welcome. However, ACMS will now also be accepting payment online using Paypal. All major credit cards are accepted. An annual subscription will be created an enable automatic billing. You may cancel subscription at any time. Members also have the option to send a one-time payment each year (see below). Please click the button below to submit payment online. To initiate a one-time payment, please click here.